A secure and user-friendly program with an intuitive interface which is specially developed to convert Apple Music, AA / AAX audiobooks and iTunes M4P music to MP3, AAC, FLAC or WAV format at fast speed with simple steps, keeping ID tags ( Artist & Album) after conversion. Convert Apple Music, AA/AAX audiobooks and iTunes M4P music to MP3/AAC/WAV/FLAC. One-click to burn converted songs to CD or share them via e-mail. Keep Artist & Album tags after conversion. Fully compatible with Windows 10 and the latest version of iTunes. I found that Sidify Apple Music Converter Free is the only program that is free yet useful at the moment. What satisfies me most is that Sidify is a purely clean program, which is almost impossible for most freewares due to various reasons. I’m so happy that finally I found a free way to back up my iTunes playlists! A user-friendly program is always welcomed. 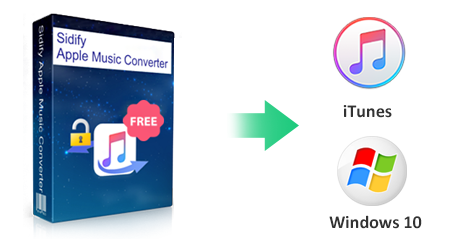 The concise and simple interface of Sidify Apple Music Converter Free enables you to convert your Apple Music, audiobooks and iTunes M4P music to a common format with three simple steps - Upload files to Sidify, customize output format and output path and then start conversion. Done! Besides, the program is a 100% secure and clean program, with no ad wares and no need to install extra hardwares or virtual drive. 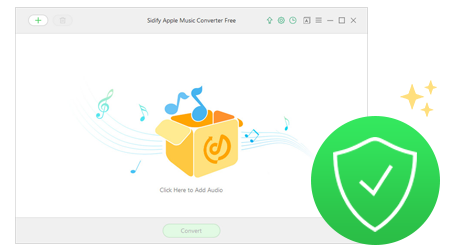 Sidify Apple Music Converter Free is specially designed to convert Apple Music, audiobooks and iTunes M4P music to MP3/AAC/ FLAC/WAV format. In this way, you can easily back up your iTunes audio files on your local computer or transfer them to any other devices for enjoying. 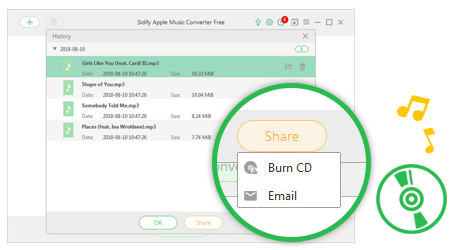 If you’d like to burn Apple Music to CD, Sidify Apple Music Converter Free is a perfect choice. It is able to burn the converted Apple Music to CD with one click once the conversion is done. All you need to do is to insert a blank CD, click button “Share” and then select “Burn CD”. With Sidify Apple Music Converter Free, you can listen to your Apple songs in your car. Besides, you can also share them with your friends by selecting “Share” button and then choose” Email”. Speed is one of the factors that we’ll consider when coming to choose a good Apple Music Converter. 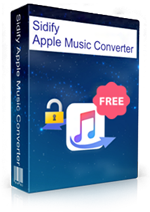 The conversion speed of Sidify Apple Music Converter Free is one of its compelling advantages over other converters. Sidify allows users to do the conversion in batch with five audio files being converted at the same time in a single go. Should you get a bunch of Apple songs to be converted, Sidify Apple Music Converter Free is an indispensable program. Sidify Apple Music Converter Free perfectly supports the latest version of Windows 10. Besides, it’s compatible with Windows XP, Vista, 7 and 8. In addition, it fully supports the latest version of iTunes downloaded from Apple’s official website as well as from Windows 10 Store. Should you encounter any problem when running the program, you can get timely and efficient technical support by contacting with its customer service. 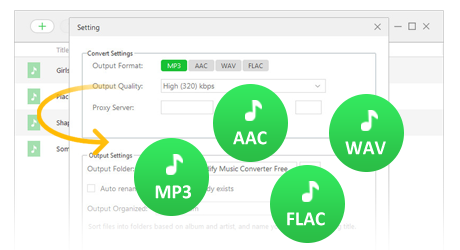 Remove protection and convert any of Spotify music or playlists to plain MP3/AAC/FLAC/WAV. Remove protection from purchased an rented M4V movies (including iTunes Extras) at 20X faster speed. © 2005-2018 Anvsoft Inc., All Rights Reserved.